When I look back at my photos from the Desert Botanical Garden I remember a cold, cloudy day walking the trails full of colourful and unique plant life. I visited the Gardens during early spring 2012, before the desert’s heater cranked into overdrive and made the outdoors unbearable. 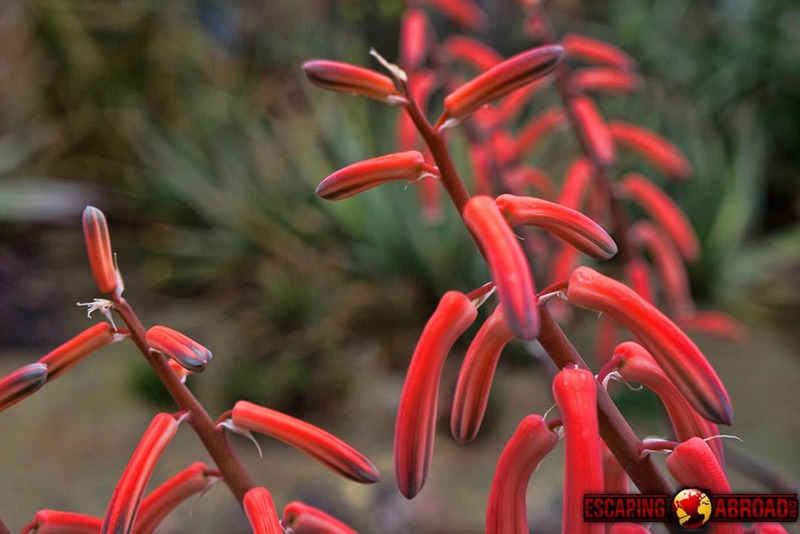 Walking along the trails I was surprised so many brightly coloured plants could grow in what’s thought to be a barren landscape. There was, of course, many spikes and painful defences to go along with the beauty – these are plants that live in the unforgiving desert after all. Plants aren’t all that caught my attention, though – the Garden’s also have sculptures and art scattered about the grounds. 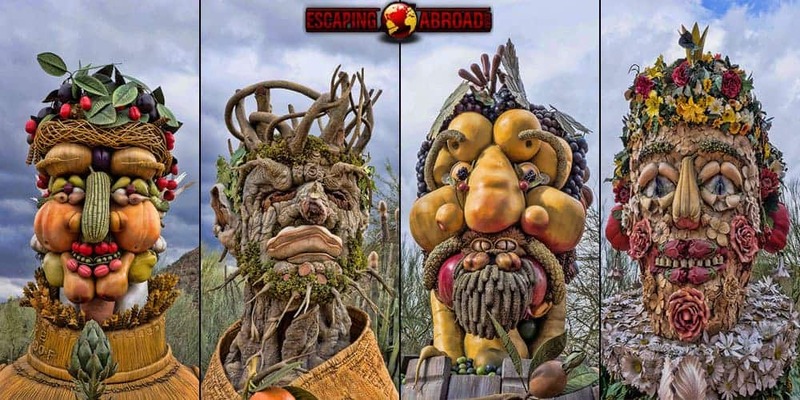 I’ve always been a fan of art, and the highlight of this was four large sculptures by Philip Haas, each with a face that represents one of the yearly seasons. 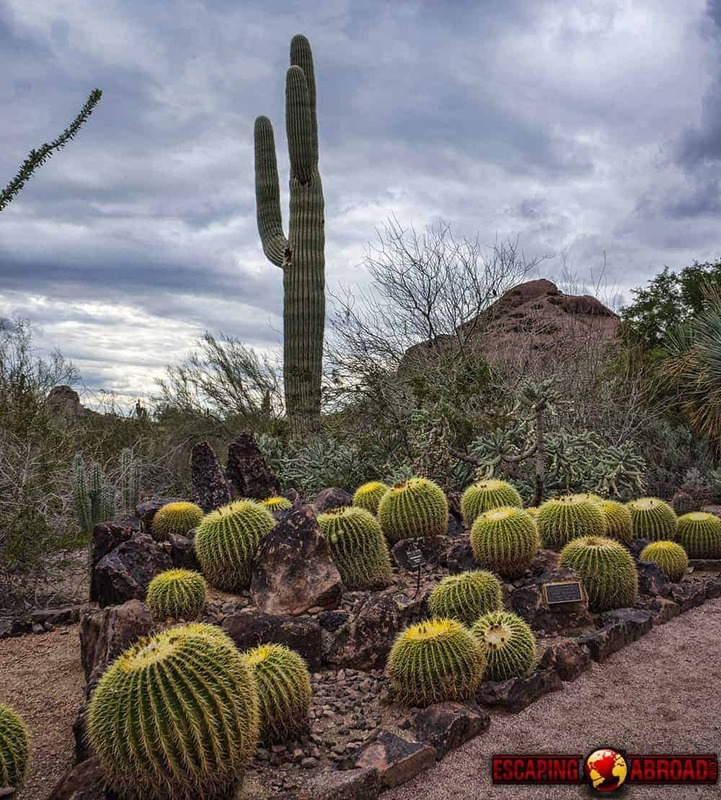 You might not expect to find a lot of lovely plant life in the Arizona desert – but that’s what you’ll find at Phoenix’s Desert Botanical Garden. The Garden is ranked among the city’s best attractions and is visited by more than half a million people every year. On display are over 50,000 plants covering 140 acres and with new events and art exhibitions going on throughout the year, repeat visits are sure to keep you entertained. General admission is $18 ($10 with student ID). Travelling on a budget? Get in for free the second Tuesday of every month! If you’re an Arizona local with a library card, you can also gain free entry with a Culture Pass. James of Escaping Abroad quit being a slave to the busy American lifestyle and traded it in to travel the world. 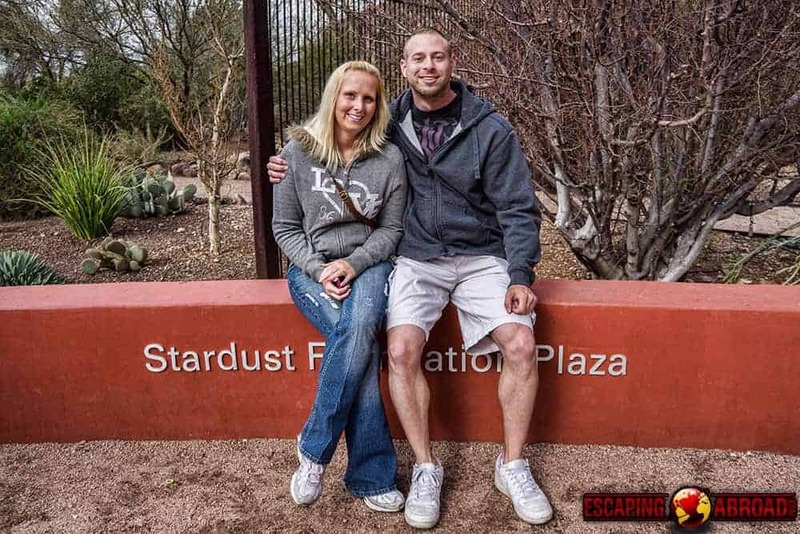 With so many trips to Phoenix, I can’t believe we haven’t been to the Desert Botanical Gardens! Loved the photos…especially the four-seasons faces. 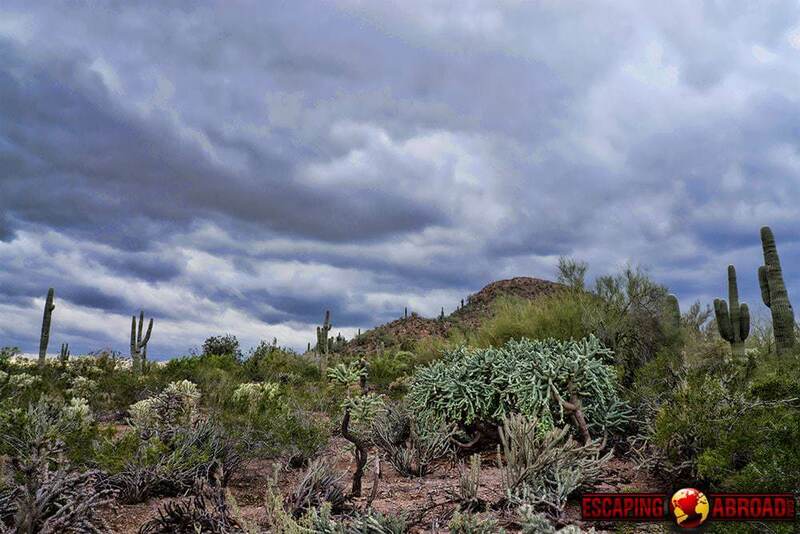 We did visit the Arizona Sonora Desert Museum in Tucson a number of years ago…another interesting place. Thanks for bringing back the memories. Love the Four Seasons Photo! Thanks James for your guest article! I was just in Phoenix a few months ago. I didn’t even know about this place. Your photos are stunning and I wish I had visited. Thanks for sharing them. I was just in the area as well but wasn’t able to visit – disappointed as well…; ( Thanks Rhonda!